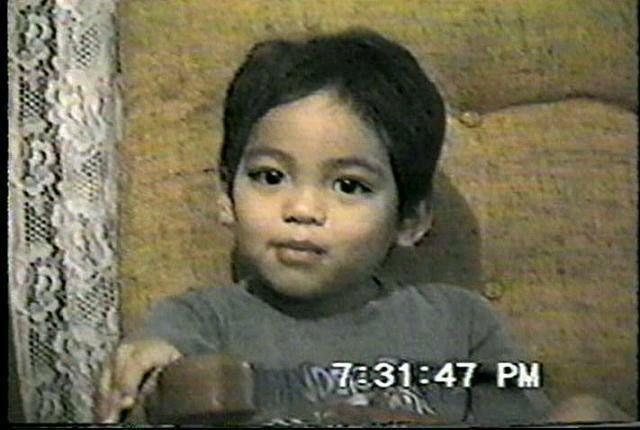 HONOLULU -- The mother of a Hawaii boy who became the face of a campaign for missing and abused children pleaded guilty to manslaughter Thursday, confirming nearly 20 years after he disappeared that the child is dead. More answers to what happened to the 6-year-old known as “Peter Boy” could be revealed when Jaylin Kema testifies against her husband, Peter Kema Sr., who is scheduled to go on trial for murder in April. Waiving her marital privilege and testifying truthfully is part of a plea deal with prosecutors. Jaylin Kema made the plea in a Hilo courtroom Thursday morning, CBS affiliate KGMB reports. Kema and her husband, Peter Kema Sr., initially pleaded not guilty to the murder charges in April. She will now testify against her husband in his upcoming murder trial. The Kemas, who are both in jail, have long been suspects in the disappearance of Peter Boy, but prosecutors said they didn’t have enough evidence to charge them until earlier this year when a grand jury indicted them on murder charges. Peter Kema has pleaded not guilty to second-degree murder. His attorney couldn’t immediately be reached for comment. Hawaii County Deputy Prosecuting Attorney Ricky Damerville said Jaylin Kema agreed in court to facts he laid out about abuse the boy suffered, her failure to get him medical treatment and his eventual death. In 1996 and 1997, extended family members, most of them now dead, were concerned the boy’s father was abusing him. An arm injury was left untreated, festering and filling with puss until there was a hole so deep someone could fit a finger inside it, Damerville said. Despite having health insurance, Jaylin Kema didn’t get her son medical treatment and didn’t report the abuse because she was afraid of her husband, Damerville said. “I failed to protect my son,” she said, crying as Damerville read the details in court, KHON-TV reported. Sometime between May and June 1997, the couple’s then-4-year-old daughter heard Jaylin Kema calling out for her husband and saw her trying to resuscitate the boy. She later saw her brother in a box, Damerville said. Kema Sr. told authorities he took the child to Oahu and gave him to an “Aunty Rose Makuakane” in an informal adoption. Police could not find a woman as described by Kema or airline records indicating he had flown there. Prosecutors believe Jaylin Kema doesn’t know where the body is, Damerville said. Prosecutors believe he died from septic shock from not getting medical care. In exchange for her testimony, prosecutors recommend a one-year sentence, with credit for time already served. If the trial isn’t over by April, she’ll be on supervised release, according to the plea agreement. In 2005, then-state Human Services Director Lillian Koller released more than 2,000 pages of heavily redacted documents, with details of abuse allegedly suffered by Peter Boy and his siblings at the hands of their father. Four years ago, Hawaii County Prosecuting Attorney Mitch Roth vowed to give the cold case a fresh look. Roth knew that without a body, prosecuting the couple would be difficult. Their separation while incarcerated seemed to help. “Obviously, getting them apart did let her have a change of heart,” Roth said.